SportsBlog in New York City now has 40 million page viewers per month, according to comScore Numbers, because of continued growth with US male superfans, athletes and media influencers that return daily to the expanding platform that has recently targeted sports technology and various team targeting sites as well as new sport verticals. Their record first quarter is a result of 1 out of every 10 males ages 18-34 visiting SportsBlog.com every day, according to comScore web traffic data. The Sports Techie community blog is responsible for part of these metrics as are the increase in athlete bloggers and more social media reach. 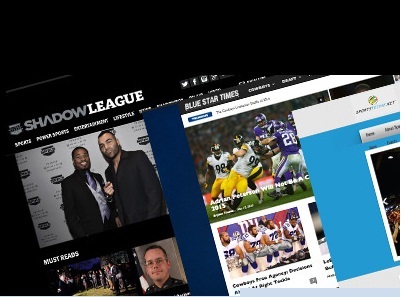 I chatted with Kevin April, SportBlog co-founder and COO, about next steps and he mentioned to look for platform additions designed for baseball and both the NFL and NBA draft launching soon. SportsBlog Grows To Forty Million Page Views A Month By Adding Sports Tech And Niche Web Sites – Sports Techie blog. Sports Techie aligned with SportsBlog when there was 30 million page views a month so adding another 10 million to their totals is a feather in their cap and those bloggers that helped drive audience viewership so thanks to you all around the globe and nation for doing your digital part. Their business plan to target hosted sites in order to grow the platform is working and the future looks ever brighter as more and more blog’s come aboard. More professional athletes blog on SportsBlog.com than on any other site. The SportsBlog network added numerous niche sites including, sports technology site gaming and gambling news site The Daily Payoff, our sports media site SportsTechie, Digital Sports Desk, China Sports Connection, sports gossip news site Terez Owens, African American-athlete focused The Shadow League, NHL Trade Rumors, MyMLBDraft, Sports City, as well as leading team targeted sites like Dodgers Nation, Lakers Nation, Warriors World, leading Dallas Cowboys site Blue Star Times and sites hosted by media personalities like Seth Everett and the voice of New York City Football Club Glenn Crooks among others. As a result of executing, the fan experience has been digitized with compelling content for readers by more than 25,000 passionate fan and sport-centric sites. 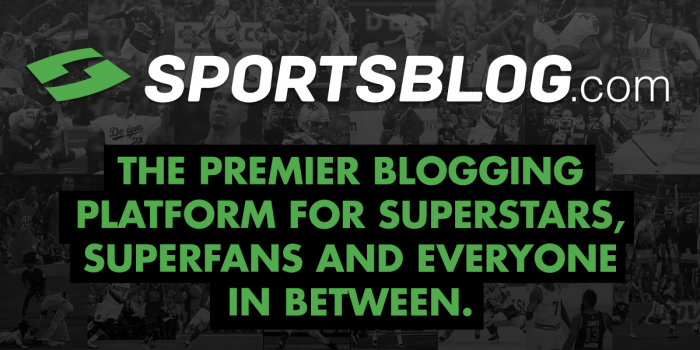 By aligning with SportsBlog, owners of blogs can earn revenue-sharing, receive cross-promotion while having access to impactful and easy to use publishing tools. Last month when Sports Techie aligned with SportsBlog, there was 30 million page views a month so adding another 10 million to their totals is a feather in their cap and those bloggers that helped drive audience viewership so thanks to you all around the globe and nation for doing your digital part. Sports Techie, I like blogging and enjoy learning from the SportsBlog business development successes you can read more about at this link here. Their recent partnership with the National Basketball Players Association (NBPA) and the player app launch was a trending NBA All-Star Game NYC story. SportsBlog also hosted an online social media series of Google Hangouts with charismatic sporting heroes like Basketball Hall of Famer Nancy Lieberman, Dallas Mavericks player Charlie Villanueva, WNBA superstars Tamika Catchings and Cappie Pondexter, Lakers and Sonics NBA Legend Sam Perkins and others. So there you have it people, sign up for free to SportsBlog via the menu bar at the top of every page on our site and get to writing about your sports passions. Sports Technology or Sports Tech is a massive worldwide industry fast approaching at least a $200 billion market according to the Australian Sports Technologies Network (ASTN), perhaps closer to $250 billion in 2015, that is quickly reshaping the world with innovative systems, solutions and products for humans, animals and robots alike. ESPN once started out a single network platform and are now valued at more than $50 billion. One day in the not so distant future SportsBlog may be able to join the ranks of the biggest valued media properties at their present rate of record traffic year-over-year. I plan to help them get there thanks to our followers, readers and friends support.